Have you ever seen a custom made Carerra marble countertop? This marble is one of the most popular choices for its wonderful, clean lined and elegant appearance. Its simplicity goes without saying. It benchmarks what we know as “luxury living”. At ClassicMarble Restoration – We’re the masters of keeping that fresh, new look - for your marble counters! We know about the care and maintenance of Carerra marble and will keep your counters, in beautiful shape. Classic Marble specializes in stone restoration and cleaning in South Florida. Because, if sealed properly every few months – it can be a very forgiving, marble. In terms of stain, we can show you what to avoid and how to protect your counters, from scratches and stains. And if you have a busy life, with kids – then, we will show you how to clean that occasional stain, that can cloud the marble. 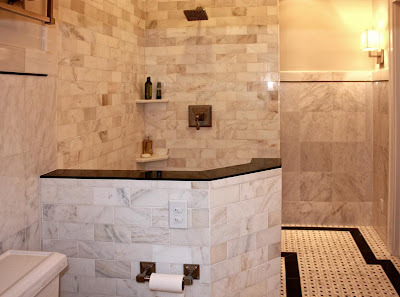 Classic Marble Restoration in South Florida can bring your stone to life! If you’re buying a new home and you’re wishing the existing marble counters, were in better shape? Our skilled technicians, can easily recreate – the “look of new counters”, by removing scratches and stains and bringing back the original beautiful look! Let Classic Marble Restoration, clean and restore your marble countertops and renew the look of your stone and marble floors. We want your home to be beautiful! Call Us at (866) 578-3600. We Are The Best In The Industry! Good writing tips here. I do have a tendency of getting a little long winded sometimes. Thanks for sharing. Are you interested to know about learner permit test.